Gospel and missions, which go together like macaroni and cheese. The gospel is simultaneously at work in us and through us. Inwardly, our desires and motives are being changed as we repent and believe the gospel. As we are moved by Christ’s love in this way, we are compelled to outwardly engage those around us with the same kind of redemptive love. The gospel is active, it’s on a mission, in us and through us. In Romans 1:8-17, we see Paul’s motivation for gospel ministry. Missionary ministry. Paul is fired up about the global scope of the gospel because God’s fired up about it. This is what I talk about when I speak of missions: “Missions is the activity of God’s people partnering with God’s mission.” Let’s see how this is made practical in Romans 1. Who’s the “you” Paul refers to when he says, “I thank my God for all of you”? He’s referring to the Christians in Rome. Although this letter was first to the Christians in Rome, it is also a letter for you. This letter is a gift from God to the church of every generation. Why is Paul thankful for them? They are spreading their faith to all the world. They are not just expanding their facilities (or home churches); they were expanding the fame of Jesus’ name to the nations. Like most letters, including Romans, Paul begins by sharing how he is praying for that church. I love reading Paul’s prayers. He loves the church. He constantly prays for them. He pleads with God to be with them. What Paul understands is that mighty movements of God are birthed through prayer. It’s not about Paul or His mission. It’s about His God and His mission. Prayer serves to showcase whatever is on your heart; it reflects your passions. If you do not pray consistently and fervently for the nations, pray for workers for the harvest, pray for the reach of the gospel, pray for Christ’s glory to be made known in all the earth, you do not have any reason to believe that those things will happen through you or the church. When God burdens people to pray for missions, He lights a fire that is not easily extinguished. Churches and their people begin to pray, then to give, and then to go. The first missions endeavor on record emerged from a period of worship, prayer and fasting among the members of the church in Antioch (cf. Acts 13). Christ Himself established prayer as a precedent for missions. “Then He said to His disciples, ‘The harvest is abundant, but the workers are few. Therefore, pray to the Lord of the harvest to send out workers into His harvest'” (Matt. 9:37–38). Whenever the church joins together to pray for God to send workers, He does. Prevailing prayer stirs the heart and opens our eyes to see what God sees, to love what He loves and to long for what He longs for. Spending time in the presence of One who loves and pursues the nations cannot help but be contagious. The church is beautiful. It’s beautiful because Jesus is the Groom and we are His Bride. We are incomplete and insufficient without one another. If I am not pouring into the church or allowing the church pour into me, I am forsaking God’s means for my spiritual growth and together we are forsaking our calling (cf. Hebrews 10:24-25). Paul longs to pour into the church, but he also longs for it to pour into him. He wants to be mutually encouraged by their faith. Paul wasn’t a super saint. He wasn’t a one-man-show that could function solo. Serving the nations can be discouraging, lonely and difficult. What Sarah and I miss most about our home church is their fellowship and spiritual nourishment. We miss our small group where we were confronting sin in love. We miss sitting under the pastor’s preaching. We realize how much we need the church, we need their prayers, we need their encouragement, we need their fellowship, we need their nourishment, we need them to ask us the hard questions, and we need them to come with us. Mission is a community calling. 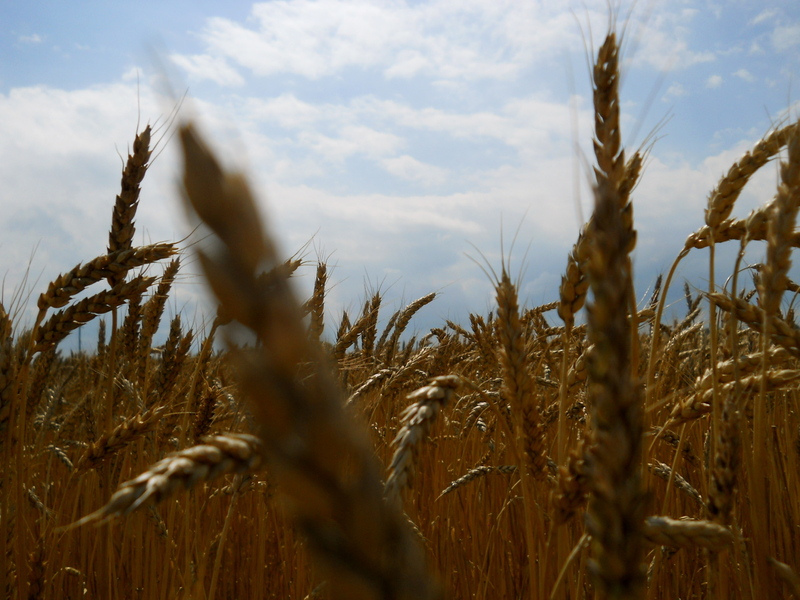 Paul desired a harvest among the Romans. 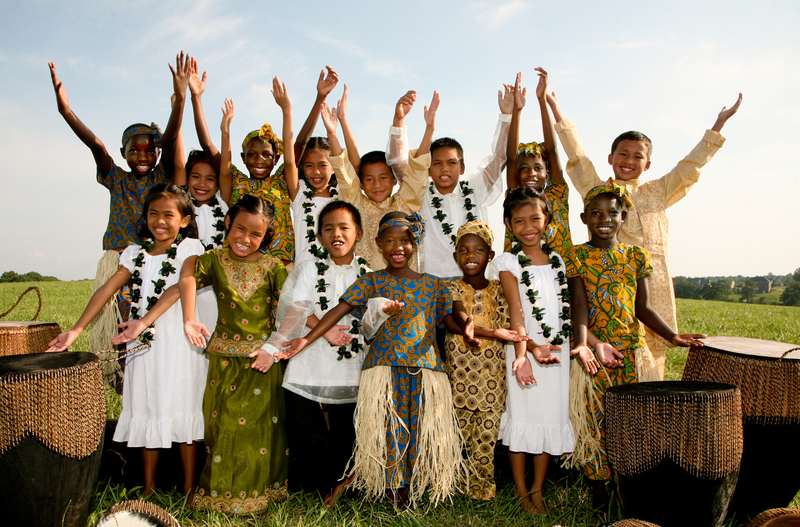 As we go to the nations, you are going to your community. The harvest is not in the pew, it’s beyond your parking lot. Go to it. Missions begins with you, the church, your prayers and your common calling. If the gospel is not your joyful obligation refresh yourself with the gospel again. Notice, who is Paul eager to preach the gospel to? Romans. Why Romans? In other words, why is he eager to preach the gospel to Christians? To Paul, the gospel is not just initial saving faith; it’s a call to continue to walk in faith each day. The gospel is not the ABC’s of your faith, it’s the A-Z’s of your faith walk. Everything you do from your spiritual birth to death is rooted in the gospel. That’s why it is your joy it is to preach the gospel to all people, including yourselves again and again each day. The gospel calls us to action. The gospel cannot be contained within the four walls of the church, but it will not rest until it has reached the four corners of the earth. “My aim is to evangelize where Christ has not been named, so that I will not build on someone else’s foundation” (Romans 15:20). This verse stands as the slogan for many missionaries and church planters. To act on the gospel is to obey it and proclaim it until all have heard. It is not enough to cut checks each month to families who are serving around the globe and call it missions. It’s when all the church is going to all the world. That is missions. Certain countries build barriers and make it hard for Christians to cross borders, but God is there. God is at work. Look at China and read the story of Brother Yun, The Heavenly Man. Or look at the Iron Curtain and read the story of Brother Andrew, The God Smuggler. These are just a few of the stories showing how God busts through man-made barriers. Walls of fear between your neighbor build brick by brick, but those barriers are invisible to God. The gospel sees no barrier or border (i.e. race, status), therefore, you must see no border to the gospel either. 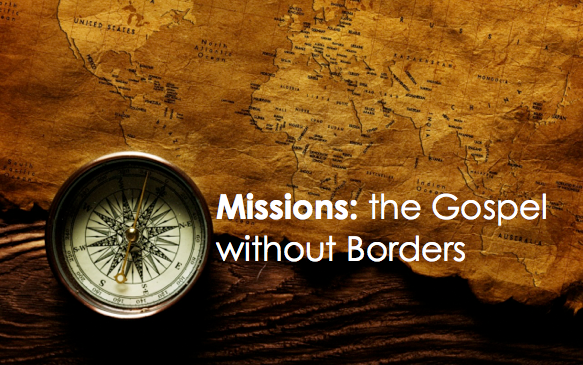 The gospel without borders is missions. The scope of the gospel is global and local. It starts with the border closest to you. The person who butts up to your property. The grumpy guy who is particular about his yard and yells when your dog runs through it. Silent Sally who you barely hear a peep from the apartment across from you. It’s your mission to bring the gospel to your neighbors. It’s your joyful obligation. Our family parked in Philly for 3-months. It was there we had our daughter Sophia. We lived in a parsonage and we had neighbors that we really wanted to share the gospel. It was a family with teenage children. I knew I should reach out and befriend them. But my sense of “should” had no motivating power. It was law, not gospel. My love was conditional—if we had more in common, if we were here longer, it would be easier. Two-months passed and we made very little contact with our neighbors. Until one day, Sarah was backing out of our driveway and our neighbor was backing out of their driveway too. Our cars collided in the middle of the street. The opportunity to connect with our neighbors appeared suddenly. The majority fault for the accident was our neighbors and they we’re quite ashamed. In the days that followed we were able to have conversations with our neighbors. Sarah especially showed love, kindness, and grace. She even took time one evening before we were about to leave for Quebec to share with them the gospel. It was her joyful obligation with a little help from an accident. Have you noticed that Paul talks about the gospel constantly? You do not have to guess Paul’s hobbyhorse. If you’re in a conversation with him for one-minute you can bank your bets on him directing the conversation to the gospel. Paul boasts boldly and bountifully in the gospel. It’s his passion. It’s his mission. He has no shame because the gospel has erased all and any shame he had before or after Christ. The gospel has set him free from shame. The gospel might bring shame upon Christians from a sinful world, but it’s message will remove the shame that stains the world. According to Paul, the gospel is not just something that saves; it is the only thing that saves. It is the power of God for salvation to everyone who believes. So without the gospel there is no missions, and missions is not missions without the gospel. They go together like peanut butter and jelly. To recap, missions begins with you, the church, through your prevailing prayers and your community calling. Missions is your joyful obligation. 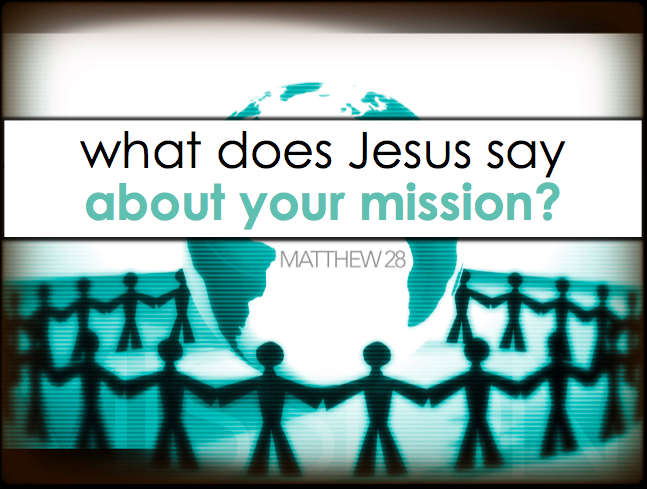 Missions is fueled by a passion for the gospel. And missions is rooted in the righteousness of God. How are you actively partnering locally and globally with God’s mission? And it’s story at Pioneers. If I could preach one message to myself. This is one I would preach. Sustain, inspire and enlighten Your servants who bring them the Gospel. for Your glory and the salvation of the entire world. O God, have mercy on the churches in the United States…continue and perpetuate the heavenly revivals of religion which they have begun to enjoy; and may the time soon come when no church shall dare to sit under the Sabbath and sanctuary privileges without having one of their number to represent them on heathen ground. Have mercy on the theological seminaries, and hasten the time when one half of all who yearly enter the ministry shall be taken by Thine Holy Spirit, and driven into the wilderness, feeling a sweet necessity laid upon them, and the precious love of Christ and the souls constraining them. Hear, O Lord, all the prayers which are this day presented in all the monthly concerts throughout the habitable globe, and hasten the millennial glory, for which we are all longing, and praying, and laboring…Come, O our Bridegroom; come, Lord Jesus! “I’m sorry.” We hear that so often. Do we even stop to think: “What does it mean?” or “Where did that phrase come from?” Even if you have not spent any length of time dealing with those questions, at the very least you have formed an opinion about what a good apology should look like. All too often do you hear a celebrity or politician on camera apologizing for something they did wrong (or at least got caught doing). But, rarely do we believe them. Why is that? What makes an apology a sincere one? How should we respond to an insincere one? How can we avoid giving an insincere apology? I believe with all my heart that we can do nothing to merit eternal life. We are justified by grace alone through faith alone in Christ alone. God accepts and declares us righteous not because of our good deeds, but because of the life, death, and resurrection of Jesus Christ. We cannot earn God’s favor. We depend entirely on his gospel grace. We can also be obedient. The church in America is puzzled. Young adults are leaving in droves. Magazines, books and blogs are wagging the finger of blame to point out who is responsible. Some say it is a failure of youth ministry, some point to church budgets and some nail the blame on outdated, unhip worship services. 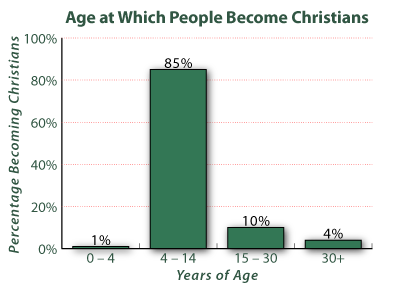 We parents are shocked that our kids just really aren’t all that into Jesus. It is unbelievable to think that there are hundreds of people groups around this planet that do not know the name of Jesus or bowed their knee to His name. Unreached people are all around you. They might be in your family, at your work, next door to your home, or even in your church. 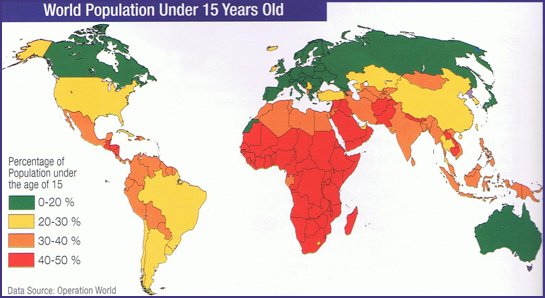 In our nation you do not have as many unreached as you do have unengaged. Unengaged are people who do not hear or see a gospel. Instead, you see people busy building their names and kingdoms. Personal fame is the name of their game. However, what you observe from history is that it takes one to two generations before your name disappears and becomes forgotten. This land has acres of rectangle lots where people are buried, but few know anything about those 6 feet below those tombstones. What will be remembered about you 100 years from now? Where will you be 100 years from now? That’s what matters. There is One whose fame will last the test of time. Do you know Him? In Psalm 145, we hear a majestic masterpiece. It is a song that is composed of beautiful Hebrew acrostic hidden to our English eyes. This psalm is what is called a doxology. A doxology is praise based on doctrine—worshiping God from in spirit and truth. People praise God based on what they know about Him. What you can know about Him is revealed to you in His Word through His Spirit. This is David’s last psalm recorded in the Book of Psalms. It is his crescendo of praise—his swan song. It is like that of a powerful rock ballad that hammers an explosive ending that just when you think it is coming to an end there is encore multiplied by encore. Praise [Heb.Hallel] means to radiate and shine—boast and brag. This is a song needs to be integrated in our souls and ringing in our ears. No matter where you are at today—discourage, overwhelmed, confused, bored, ready to worship—this song is for you. Stanza 1: Greatness of God [3-7]. God’s greatness is seen in His power and authority. His greatness cannot be contained. His greatness is limitless and awe-inspiring. Even your greatest thought about God is puny compared His reality. He cannot be fully realized or comprehended. He boggles our minds. His greatness is unsearchable and indescribable [v.3]. Trying to comprehend Him is like floating on a raft in the middle of the ocean. You can not know its depth, width, breadth or height. So it is with God. The greatness of God is spread by “One generation shall declare your mighty acts to another.” [v.4] Do you share what God has done in and through you? There is a mandate for parents in these verses—that parents would declare God’s mighty acts to their children. Do you tell your children about the great things God has done? This fires me up about being a parent. Tell and retell God’s great works. Don’t be the last link in your family. Pass the spiritual torch to the next generation. What is the greatest inheritance you can give to your children? There are many ways we can declare God’s greatness. You can begin by declaring it to yourself [v.5]. Meditate means to ponder, to converse aloud with yourself, to remind yourself, to stir up your memory, to preach to yourself. The idea of meditation is to hear your own thoughts make statements about God. Take a moment to think about His greatness. What does David meditate upon? The “glorious splendor of God’s majesty.” [vs.6-7] He weighs in on the worthiness of God’s greatness. Do you need peace and comfort for your soul, counsel through a tough marriage, rough workweek or nagging sin issue? Meditate upon God’s great power and work. The more I know about God the more I amazed that I do not know very much about God. Getting my Masters Degree taught me that I could spend the rest of my life just scratching the surface of God’s greatness. As I learn about God it cannot keep silent. The greatness of God is too exciting to keep secret. David needed to talk about God. It was on the tip of his tongue Does your conversation lead to God? If you were to map out your talk do they funnel towards God? This is the basis of our fellowship in this church. Our unity and community is in our talk about the greatness of God. Stanza 2: Grace and Mercy of God [8-9]. These verses are a classic expression of praise for God’s character. God’s grace is His favor that He gives to those who do not deserve it. His mercy is withholding of His wrath from those who do deserve it. He is patient with those who arouse His anger with their sin. He is loyal with a long-lasting love. God is a good King. He does not rule with dread to those who are in His kingdom and escape His wrath by the blood of His Son. God’s grace is not cheap little gifts from the dollar store, but priceless gifts poured out from a warehouse stocked full to the ceilings. In response, all of His works and all His people will praise Him [v.10]. Stanza 3: Sovereignty of God [10-13]. God is enthroned in the heavens and His kingdom remains forever. He rules over all things. He has the authority to do as He pleases. He has the power to carry out all He promises to do. Does that bring comfort to your soul? God is not a maverick. He is not random. He doesn’t second-guess Himself. He does not make mistakes. He holds all things together. The sovereignty of God is key to evangelism. Since, God is your Creator that makes Him your absolute authority. You are responsible to Him. He owns you. Stop your rebellion and return to Jesus Christ. You will stand before Him as your King. That is the essence of the gospel. Stanza 4: Faithfulness of God [14-16]. God is generous. God is a provider. He comforts those in need [v.14]. He nourishes the needs to those He has a covenant relationship [vs.15-16]. Considering the faithfulness of God can be the greatest counsel to your needy, broken, and empty spirit. He will fill your hand and satisfy the hunger in your soul. As I think about the people of North Africa and reaching them with the gospel I am overwhelmed by their physical needs. However, the gospel will provide them more satisfaction than drilling a well for fresh water, protecting from radicals, rapists and terrorists, or reforming nations with decent dictators who will care for their own people. The gospel changes somebody from the inside out, forever. Stanza 5: Righteousness of God [17-20]. God is working all things together for your good and His glory [cf. Romans 8:28-29]. There are many people around the world that consider their current circumstances: sisters and mothers raped, families displaced by genocide, immense poverty and suffering at the hands of tyrants, “Is there any justice?” Does it seem like Satan is winning the war? In the Lord, justice is at home in His righteousness. Everything the Lord does is right [v.17]. His righteousness looks for your sincerity , your reverence , and your love  even in the face of worldly danger. God’s righteousness will deal with injustice. Coda : The coda is the final movement of a musical piece. The coda of David’s psalm answers the question: How do we spread the fame of God’s name? By proclaiming His praise to every person [v.21; cf. Revelation 5:6-10]. How will they believe if no one tells them? So this is why our hearts are set the unreached. Why not stay in North America? Good question. The answer from Psalm 145 is simple; Have a passion for God and compassion to make the name of Jesus famous to the forgotten and unengaged peoples of the world. 100 years from now we will not be remember, but God’s name will still remain. Will they know Him? Cf. Exodus 34:6; Nehemiah 9:17; Psalm 86:15; 103:8; Joel 2:13; Jonah 4:2. “Where are the young men and women of this generation who will hold their lives cheap and be faithful even unto death? Where are those who will lose their lives for Christ’s sake — flinging them away for love of him? Where are those who will live dangerously and be reckless in his service? 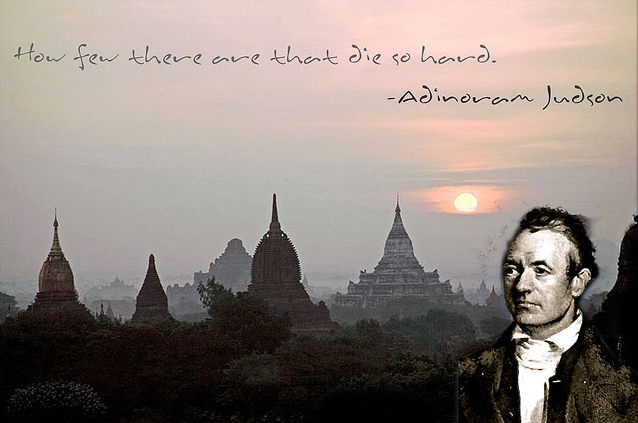 Where are his lovers — those who love him and the souls of men more than their own reputations or comfort or very life? “Amid the many facets of the American dream that contradict the core of the gospel, one ideal Americans have embraced coincides subtly with the words of Christ. As James Adams was coining the phrase “American Dream,” Franklin Roosevelt was emphasizing how Americans will postpone immediate gradificatio and even endure hard sacrifices if they are convinced their future will be better than their past. Americans are willing to take great risks, he said, if they believe it will accomplish great reward. Francis Chan is one for stories and illustrations that pack a punch. I particularly appreciate this one passed along by a good friend, Sur John. Stop holding on and walk with Christ! The past two summers we have taken our groups from our church down to the Dominican Republic for ministry among the sugarcane villages. This last year our trip leader was Hugo. He is a man of contagious love for God and a joy for Christ. Our team quickly came to admire his passion for Jesus, the church, and his family. He is an example of a true follower of Christ. The Lord to Hugo home early this year. On Saturday, January 20, 2010, SCORE International celebrated Hugo Liborio‘s life at church plant Villa España in the Dominican Republic. 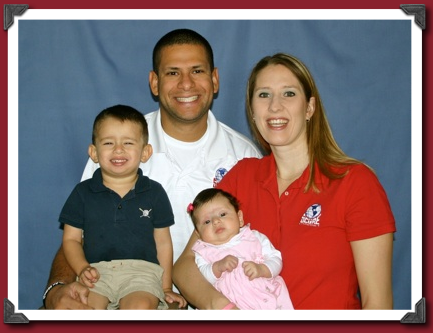 Hugo spent the last year of his life working as a missionary in the Dominican with his wife, Sarah, and two children who are continuing in the work.